Our Little Family: Whaddaya Think? Every time my mom watches American Idol, she comments to Mike about how much she thinks Ryan Seacrest looks AND acts just like Mike. Funny. 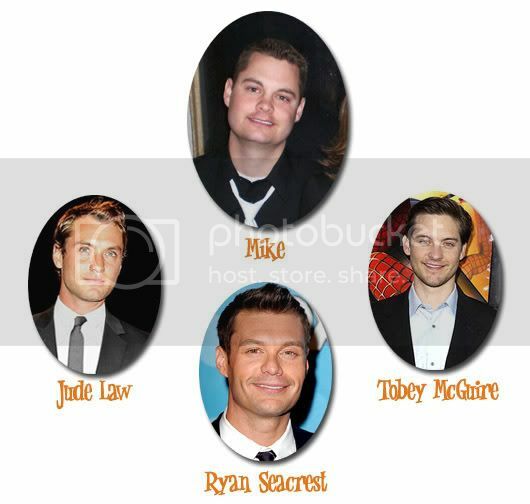 Which of these three celebrities looks (and/or personality) do you think are most similar to Mike's? Leave your thoughts in a comment.